Much has been written about the growing chasm between sales and marketing. Organizations must address misalignment, but that's often easier said then done. The key to sales and marketing alignment is to develop a technology stack capable of serving the roles of both marketing and sales, then wrapping a tightly connected sales process around the entire buyer's journey. When your marketing efforts aren't connected to your sales process, you're leaving a lot of money on the table. Why is sales and marketing alignment particularly important? If you've ever made the mistake of grabbing the shopping cart with a bum wheel, this should be a no-brainer. When all four wheels work together in sync, you can navigate your way around the grocery store meeting all your objectives in significantly less time. The same is true of teams tasked with generating revenue. When everybody is on the same page, businesses hit their goals more consistently and in less time. According to HubSpot's 2017 State of Inbound report, 22% of respondents indicated that they feel their Marketing & Sales teams are tightly aligned. And of those respondents, an astounding 81% feel that they have an effective marketing strategy in place. Conversely, 25% of respondents answered that they either rarely feel aligned or feel misaligned altogether. Too often, there is a breakdown between sales and marketing. Typically, it's because one team has primarily led the charge in setting goals, creating processes, and determining the definitions that power the revenue generating system. Then, this information isn't communicated clearly to the other team. The result? Both teams end up sort of floundering in their own efforts/assumptions about the common objectives and what they're responsible for in terms of production. If organizations want to meet their revenue goals, alignment really isn't option. It is universally understood in the marketing community that sales and marketing alignment is crucial to meeting and exceeding revenue goals. Alignment around shared goals, technologies, and processes allows you to monitor and optimize every stage of the buying cycle. Reports like this one from Marketing Advisory Network suggest that sales and marketing misalignment is not just a buzz word: companies are truly struggling with this reality. In another study, the results gap is confirmed to be 10% of revenue. Studies show failure to align sales and marketing teams around the right processes and technologies costs B2B companies 10% or more of revenue per year ($100 million for a billion-dollar company). With the significant costs associated to misalignment between marketing and sales, the gap can be identified as a loss of productivity by sales. One major alignment challenge cited by the roundtable participants was around the topic of sales productivity. If a major benefit of alignment is shorter sales cycles and higher close rates, the teams must work together to determine a) the highest value sales opportunities and b) how to nurture those leads through the sales process. Although it seems the mindset is shifting to include sales and marketing as one unit working together, the big challenge is aligning around the goals and metrics that drive decision-making. 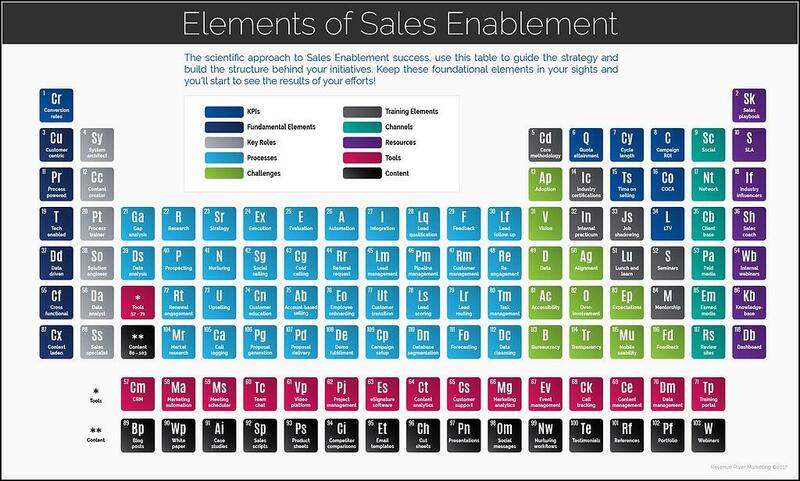 The missing link (and revenue) between these vital departments serving your organization is sales enablement. If your organization is struggling to align your marketing and sales team, this could be the answer you're looking for. Sales Enablement consists of tools that accelerate the sales cycle, creating efficiencies in either training sales teams, equipping them to succeed, or assessing areas for improvement. Sometimes sales recruitment in the sales enablement category; for our purposes we will stick to the post-hire sales empowerment process. A Sales Enablement priority is to maximize sales reps’ actual selling time. Switching from one activity, such as researching a sales prospect’s contact information, to another, like recording information in a CRM tool, wastes time that could be spent on selling. As the sales industry digitizes, Sales Engagement software can enable sales reps to automatically update their CRMs while actively selling and making online presentations. Finally, a sales enablement program can help you measure your sales reps performance, keeping them accountable and motivated to hit their quotas. Since only 35% of a salesperson’s day is devoted to core selling activities, the measurement of your sales reps can help you find the bottlenecks that keep your sales reps from the core selling activities. One of the many key responsibilities of an effective sales enablement team is the integration of your CRM platform with your marketing system. Integrating your CRM and marketing automation processes will properly align your sales and marketing teams, create better communication, and result in better reporting processes. This will remove any duplicate, or time-consuming work, such as manually entering prospect contact information into Excel spreadsheets. New connections between marketing systems are being created constantly and it is sales enablement's role to be proactive in researching and testing what connections and integrations will work best for you. After the integration of your CRM and marketing systems it is imperative to include an element of training in any strategy you plan to deploy so your sales and marketing teams will know how to effectively use them. Sales enablement should create a training program that can be adopted by existing team members, and new hires alike. Training and development is an ongoing process and needs to be done effectively. Additional training provided include product training, sales, tools & technology, and marketing. Another strategic focus that should be considered in regards to training is revamping your onboarding process. You can make onboarding new hires more efficient through training's set up through sales enablement. Revenue River, along with other successful companies such as IBM, have created an in-depth process that includes learning about company culture, online training, receiving certifications that correlate to the new hire's role, meeting with colleagues in different departments, and in field training where they can put their skills to practical use. Lastly, it is essential that you train on the systems that you use. A lack of training can result in reporting on bad or inaccurate data, high turnover, and low employee productivity. In any industry, system integration and improvement in employee training will lead to an increase in overall productivity. Through the integration of sales enablement practices your processes will be more streamlined, guidelines will be set, and there will be continual coaching and training for your teams. Further, sales enablement teams focus on content management by creating and optimizing templates for your marketing and sales teams, saving them time from having to create their own content, or from doing repetitive work. Generating and storing content that teams can use in their sales cycles will lead to making decisions quicker and improving your KPIs. All of this leads to increased productivity which, in turn, will lead to increased revenue. Are you ready to pick up that 10% of revenue you're missing? You can click here to schedule a consultation, or continue reading. The primary responsibility for this role: ensure that all data being collected and input is captured and stored in a way that it can be leveraged manually or through automation to enhance the buyer’s experience at every step. This often entails a recurring detailed audit of the data points, the method of collection, the triggers/actions in place, and the intelligence being piped into sales reps’ hands. A careful evaluation will likely reveal areas of data friction, lack of attribution or contribution, and missing information – a dangerous combination of factors that could lead to a sub-par customer experience and wasted opportunities. Ability to think synthetically – various components of a sound sales enablement system may seem unrelated, however, it is important to be able to pull the pieces together into a logical sequence; conversely, the capacity to deconstruct them down to their parts for analysis and optimization is critical. Propensity for forward-thinking – it is easy for teams to default to the “we don’t need that functionality/tool/process right now because we aren’t big enough” mentality; however, a great system should be built with flexibility and scalability in mind to accommodate future circumstances. Persistence – often times, the first approach to implementing a system will be met with unforeseen obstacles; success in this role could hinge on the individual’s enthusiasm for a good challenge and a certain stubbornness against giving up. The primary responsibility for this role: construct the data flow system drafted and mapped by the Solution Engineer inside the tech stack. Before and during implementation, it is important to help identify and work around technological restrictions to reduce data friction and streamline organizational processes. Ability to think critically – being an “order taker” is simple, but not necessarily good for the team; instead, the System Architect should be able to interpret a strategy and make recommendations for the best approach to implementation based on their in-depth knowledge of technical capabilities. Penchant for learning – it is very unlikely that you will find an individual that is familiar with all the applications you currently use or plan to use in the future; rather than wasting resources searching for that unicorn, you’ll be better served with someone in this role who is motivated to dig in hard to learn new platforms inside and out. The primary responsibility for this role: support the efforts of the Sales Enablement team by tracking and analyzing trends in the operational metrics to uncover opportunities for improvement. The capacity to make sound recommendations that ultimately provide direction for new initiatives, identify the need for course-correction, and measure progress toward organizational objectives is vital. Statistical and predictive analysis experience – obviously, this is a bit more a technical role and as such, likely requires specific analytical knowledge; this individual should be able to identify and report on trends so that course-correction steps may be taken if necessary. Quality-minded and accuracy-obsessed – it is imperative for sales enablement strategies to be founded on clean data; to drive results, data points need to be configured and captured in a way that ensures exceptional data hygiene. Ability to think systematically – to report against critical objectives, the team needs to understand exactly what data needs to be captured and how best to gather that information; when it comes to reporting, the Data Analyst needs to be able to articulate exactly how data must should be structured to provide a valuable output. The primary responsibility for this role: craft content that serves to answer prospects’ questions throughout the buyer’s journey, make sales reps more effective in their selling activity, and kickstart stale opportunities. The content strategy should be focused on improving the customer experience and driven primarily by data. Ability to tell a product’s/service’s story – today’s consumer does not want to be marketed or sold to, so it’s important for an organization to be able to communicate how their solution will solve for a need in a way that other options will not. Aptitude for thinking outside of the box – in a digital environment saturated with content, it is important for a content creator to identify how they can cut through the clutter without compromising the message; new publishing platforms and new communication channels contribute to shifts in content consumption that should be leveraged. The primary responsibility for this role: serve as a liaison to the Sales team to draw out key insights and generate real buy-in on new initiatives. An added bonus? This person has been in the trenches before and understands the challenges firsthand. 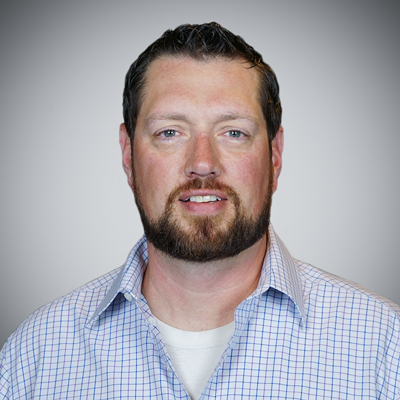 Consultative experience – as a direct connection between two teams, the ability to consult bi-directionally will be important in achieving overall alignment. Desire to adapt and adopt quickly – it’s not uncommon for sales teams to become comfortable in their processes, even to a point of detriment; a person in this role should possess a certain kind of contagious enthusiasm toward change. The primary responsibility for this role: design a training program that specifically gets new hires up to speed quickly and effectively in addition to an ongoing system training and development cadence that focuses on adoption and execution. Initiative – the more an individual understands the inner workings of a system, the better they will be able to accurately convey the importance of adherence and consistent execution; even if they aren’t using the system directly, their in-depth understanding will make them more effective in their role. Ability to think objectively – to develop a course and materials that will resonate with and compel trainees, it is imperative to think outside of oneself to understand their skill sets, personal objectives, and professional challenges. Process-oriented – as a training specialist, various processes will need to be documented in a step-by-step fashion; the ability to objectively understand a system, deconstruct it into its parts, and then detail each piece in sequential order is crucial. To sum all of these rolls up into one mission, their focus is on addressing that gap in productivity. By empowering sales teams with the right software, the sales enablement team can help them increase effectiveness, efficiency, and active selling time. Your sales enablement team should start by exploring your existing sales environment. What comprises the sales environment? A generalized definition, the sales environment consists of all the elements that define and affect the working environment of your front-line sale reps outside of motivation, resource allocation, and organizational structure. All of these factors should be addressed during an in-depth audit to the organization's current CRM implementation. Upon completion of the audit, findings and recommendations for improvements can be made during the next phase. 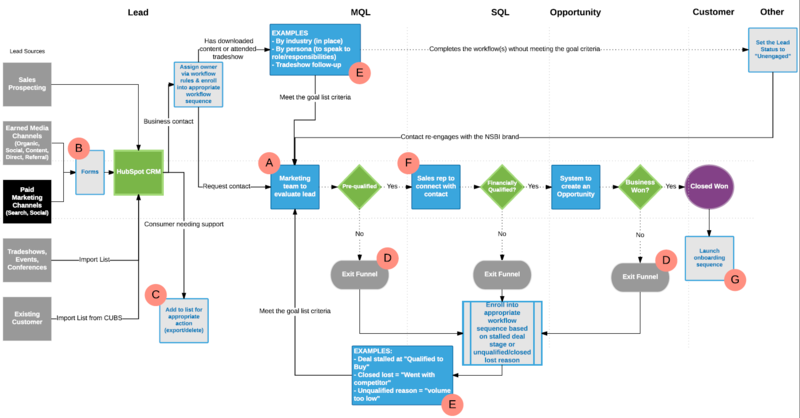 The lead flow process map below outlines how contacts should flow through the sales engine. It's the roadmap for sales system implementation. Organizational revenue goals: while this might not necessarily be a metric, per se, it's a critical number to have when calculating the goals around marketing and sales' contribution. If these are broken down into revenue from new business and revenue from existing business, even better! Average lead-to-customer conversion rate: it is critical to examine the sales team's closing rates, specifically as they apply to the leads generated by marketing. Leads from varying sources likely convert into customers at different rates, so you'll need to tease out the percentage of those originating as a result of the marketing team's efforts. Average lifetime value of a customer: knowing what a customer is worth on average will help you calculate the number of customers you need to acquire to hit the established revenue goal for new business. Average length of customer engagement: paired with the above metric, this number will help you gauge the annual contribution of new customers toward revenue goals. You may not be able to generate exact baselines for these numbers but you must establish a baseline even if it's little more than a projection. It will be better to start with something than to have a bunch of blank spots. And in this case, you'll start to establish your baseline metrics and use those to refine as you revisit your SLA yearly. With your existing sales environment completely documented, the design of your ideal system can begin. You'll need a combination of CRM and Marketing Automation software with perfect integration to implement the accurate flow through the sales cycle represented in the Lead Flow Map. 1. Lead Scoring If you do nothing else with marketing automation, you should at least use it to find out who your best prospects are. Lead scoring enables you to do that. It does require putting some thought and research into what profile attributes and behaviors indicate that a lead is a good prospect, but once you do that and get your scoring in place, you put yourself in a position to always know who your best leads are. But be prepared to spend time thinking through your scoring methods and revisiting/tweaking them over time as you learn more about your ideal prospects. On a side note: lead scoring is truly an enabler. You can use your lead scoring to trigger alerts to your sales team or to trigger email campaigns to individuals once they reach a certain score level. Or you can just use your lead scores to segment a list to identify hot, warm, and cold leads. 2. Targeted Email Campaigns Any email marketing software can send email blasts, but marketing automation allows you to send relevant messages to a targeted audience in a timely manner — right people, right message, right time. Think about the content you’re creating for your website. What segment of your contacts would your content speak to most directly? Identify that audience and then send them a personalized email based on that content. Don’t just blast all your emails to your full list. That’s a quick route to opt-outs. Instead, spend a few minutes thinking critically about what segment of your audience should be receiving each email you send out. Odds are, you’ll see better open and clickthrough rates along with fewer opt-outs and spam complaints. 3. Website and CRM Integration Marketing automation has a lot of great features and can provide some really awesome data, but you really only get the most out of it if you are very tightly integrated with both your website and your customer relationship management (CRM) platform. This integration allows you to easily track behaviors and determine what marketing efforts are having an affect on your bottom line. Marketing automation allows you to close the loop in your lead development ecosystem, and generate true ROI reports. 4. Progressive Profiling The biggest goal of your website is to generate leads and capture their information, right? Marketing automation allows you to do this and take it a step further. By progressively profiling your leads, you’re able to learn new information about them with each form they fill out on your site. It’s something that you can set up and then just let ride, which is great. However, the work comes in once you have the data, as this new information allows you to better segment your lists and send more targeted email campaigns. It can also help you score your leads. 5. Lead Nurturing The last must-have feature of marketing automation is lead nurturing. I’m not going to sugar-coat it. This is the hard one, but often the most rewarding. You will have to spend time developing automated campaigns that will help move clients from one stage of the buying cycle to the next, which can be a difficult task and require a lot of content creation and time spent researching your personas and how they are interacting with your site. But, once in place, it can help you create more opportunities from your website and nurture existing leads until they are ready to engage with your sales team. 2. Tracking CRM software can track the behavior of leads who are displaying interest in becoming customers, or "prospects," by recording click-through and conversion of affiliate marketing ads, links in emails, website forms and even human-to-human contact such as on-site visits and phone calls. It will capture this information automatically, except for the human-to-human contact, which sales representatives must enter. 3. Customer Tracking Once a prospect purchases from the company, he or she becomes a customer worth tracking. CRM software will track information about customers such as products purchased, dates of purchase, sales representatives involved, purchase prices, special instructions and customer feedback. 4. Marketing Reporting The data in a CRM software system is useful when aggregated and displayed in reports that answer specific marketing questions. For example, marketing personnel will want to see which ads received the most click-through and conversion rates, which affiliate sites attract the most clicks from prospects, customer demographics and which products are selling and at what prices. 5. Service Tracking A CRM system may include information that helps representatives with customer service. For example, the system will give the representative access to customer purchase and service contract data, product information and a knowledge base while also allowing the representative to record service-related information such as complaints and support tracking numbers. Sales managers will need the ability to track both activity and performance metrics. 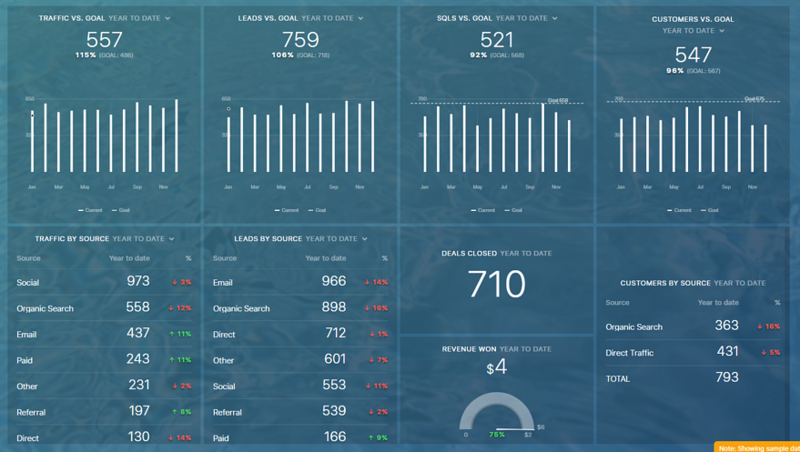 Software platforms such as Databox will allow your entire organization real-time visibility into sales KPI that really matter, no matter how many data sources are required. Once your sales engine is up and running, it will be time to pour some gas into it. Sales enablement to the rescue yet again, as you'll need their help empowering your sales team to put some funnel pressure on the prospects going through your buyer's journey. Buyer behavior has shifted over the last three decades due in part to the rise of technology. The rise of computers, the internet, and mobile devices has had a massive effect on the buyer's journey. With widespread access to information, research and comparison has been made easier. As technology has advanced, the buyers' behavior and expectations have changed. Your management team needs to be acutely aware of how the changing landscape stimulates the way our prospects make purchase decisions. This way, you can lead the overhaul of your sales methodology with a clear understanding of the new consumer dynamic. With the ability to access information at any time, from any place the game has changed for businesses trying to compete for consumers looking to buy. Gone are the days of potential buyers relying solely on sales people for information on our products or services. As an example, "shopping" for cars is often performed online, rather than a dealership. People only go the dealership when they know what they want, and they’re often more educated about the individual vehicle than the sales rep who greets them in the lot. According to HubSpot, 89% of US internet users search online before they make a purchase, even when that purchase is made at a local business. A PowerPoint bound in a spiral notebook isn’t dynamic. Sending email after email with no idea if it’s being opened or not is so 2008. In today’s digital world we have amazing sales support software platforms available to us. They enable sales to be more efficient, informed, and effective than ever before. The ability to integrate different software solutions like PandaDoc, Salesforce, HubSpot, and Channel Rocket allows sales professionals the complete tool set needed to perform to their potential. 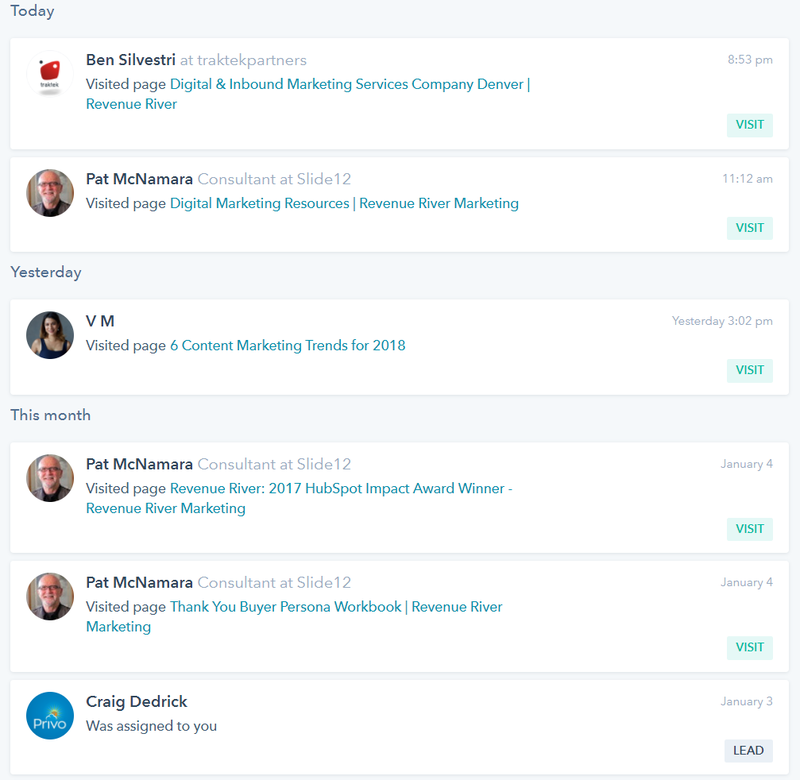 Connect influencers with decision makers directly through your sales documents. LinkedIn Sales Navigator is a tool that needs to be in your arsenal as it moves sales reps away from cold calling and towards social selling. This simple, yet useful prospecting tool allows you to focus on the right people and stay informed with more insights. LinkedIn's algorithm will give you lead recommendations based on your preferences, historical saved leads, and similar influencers in the industry. Recent statistics show that 92% of trаdе show attendees ѕау thеу are lооkіng fоr nеw рrоduсtѕ making trade shows still an effective place to meet prospects and potential buyers. With atEvent, you can easily capture leads by scanning badges or taking screenshots of business cards that then sync with most major CRM systems. The app will then let you associate topics, record important context, and create follow up actions with each contact. Part of the sales enablement strategy is to improve the alignment between marketing and sales. App Data Room's website states, "Aligning Sales & Marketing to Sell More’. One of the biggest challenges that sales reps face is knowing where to find the content that marketing creates. With this app, it is all in one convenient place. Provide your team with the right content to succeed by putting together case studies, testimonials, and customized brand standard presentations, that can be accessible anywhere in the world. In this fast pace world, timing and engagement matter more now than ever. Move away from static images on PowerPoint slides and wasting your time by clicking from one page to another and start utilizing tools such as SlideDog. SlideDog is a free multimedia presentation software that seamlessly combines various types of media into one presentation without ever having to switch from programs. Improve engagement with your prospects by giving real-time presentations that have interactive polls and chats that can be added to each slide. This Sales Enablement tool automates documentation including proposals, contracts, eSignatures and even hiring and on-boarding. Through PandaDoc you can streamline your collateral to ensure only the current and brand approved content is available for reps. Additionally, it integrates with most top CRM by automatically pulling contacts, dates, signatures and any other custom fields from your CRM and adds them to your PandaDoc. Proposify, comparable to PandaDoc, is a sales technology your sales staff can use for closing deals by sending trackable proposals and contracts. Personalize and tailor your documents to each lead by using their design editor to create content or speed up the process by using a pre-built template. Either way, this is your opportunity to stand out from the competition. Proposify also integrates with top CRM so you never miss a beat and can keep track of any changes that are made straight into your Deal’s timeline. Skype is a tool owned by Microsoft and has been used by businesses and individuals for years now. They continue to improve their platform and make it more user-friendly. With Skype for Business, you can create private chat groups, make calls, hold meetings, and share your screen. If you are looking for a communication platform that is paving the way for how communication is being done within an organization, look no further than Slack. Slack has similar features to Skype but provides you will more options to improve B2B business and internal communication, With Slack, you can set up private channels for projects or teams, pin and search for documents in your messages, and integrate it with hundreds of apps. Integrate your Slack channel with Analytics, Sales or Bot apps, such as Insightly, Tableau, or Survey Monkey, to increase team efficiency and productivity. These are only a handful of the sales technologies that can help your sales team effectively engage with prospects, deliver presentations that educate and promote your product or service, and nurture leads into customers, and eventually evangelists. Build a website that speaks directly to your prospects, educate them on your services, and confirms sales claims. Pro Tip: Social media profiles are a great place to house some of your best resources. And you must realize that social selling is here to stay. If your organization doesn't connect the dots between building all these great assets and getting them in the front of the right people, you're failing. Remember, your prospects will look to numerous sources to decide whether or not you and your sales person are credible. A degree of top-down management will be necessary to lead sales and marketing alignment. Leadership over the decisions that need to be made to spur growth and development is needed. In a perfect world, decisions makers would have all the time in the world to analyze their decisions from every angle. They’d have all the necessary data to make informed decisions. However, this isn’t a perfect world but alignment still needs to be realized. Many management teams become completely disconnected from the sales and marketing teams within their organization. However, if you want to get the most out of your team, (and capture that extra 10% of revenue) take a walk in their shoes and look at life in your company from their eyes. Only then will you be able to you be able to roll out your strategies and capitalize on the outcomes.